Recently, a correlation between dilated cardiomyopathy (DCM), which is a fatal heart disease, and the feeding of grain-free, boutique, or exotic meat diets has been recognized. There currently is no consensus on why these diets are causing DCM. The main suspected factors include breed-related genetics and taurine (an amino acid) deficiency. 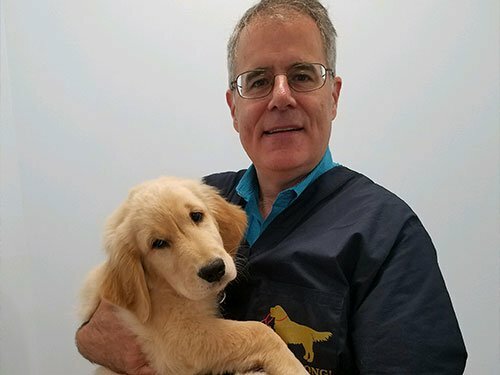 Breeds affected include Golden Retrievers, Cocker Spaniels, Newfoundlands, St. Bernards, English Setters, Irish Wolfhounds, and Portuguese Water Dogs. In many of the cases, taurine blood levels were low. Some dogs with low taurine associated DCM did improve on taurine supplementation but others did not. Signs that you may observe in DCM are the same as congestive heart failure and include weakness, difficulty breathing, poor gum color, and wheezing. When these signs present, the DCM may be advanced and not treatable. Left untreated DCM is fatal. Chest x-rays and heart echocardiograms can detect DCM earlier and there is a blood test for taurine (but remember not all diet related DCM cause a low blood taurine level). The earlier caught, the better. For dogs without cardiac clinical signs that appear healthy, changing the diet is the simplest and most conservative action until more definitive information relating to this emerging pattern is discerned. Consider an echocardiogram and testing taurine concentration in plasma and whole blood, especially if you do not wish to change the diet as a preventive measure without more information. If heart failure is identified, change the diet and consider taurine supplementation regardless. Repeat the echocardiogram in 4 to 6 months to assess resolution of the myocardial failure. If taurine concentration is low, change the diet and initiate taurine supplementation. Repeat the taurine level test in 4 to 6 months. If you do not wish to change the diet or perform an echocardiogram, test your pet’s taurine concentration (plasma and/or whole blood). If low, supplement with taurine and we strongly recommend changing diet to one not implicated in the problem. If normal, you will need to closely monitor your pet’s condition and let us know of any changes. The science on this is evolving quickly and you should keep abreast of the latest news. One FDA link is https://www.fda.gov/AnimalVeterinary/ResourcesforYou/AnimalHealthLiteracy/ucm616279.htm. If you are unwilling to change the diet and are unwilling or unable to afford an echocardiogram and taurine analysis, we recommend supplementing with taurine. Safe doses are approximately 250 mg per day. Overdosing may lead to issues and should not be done. If you have questions or concerns, please call us at Weare Animal Hospital (603-529-4999) and Hopkinton Animal Hospital (603-487-6447) to discuss this issue. We are happy to schedule an appointment for consultation and any testing for your pet.